Can you touch your elbows together? 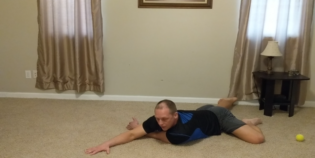 If you can’t it’s a possibility that you have some flexibility and mobility issues originating from trigger points and tightness in your back muscles near your scapula and rhomboids. Theses issues can negatively impact your cross body ROM. Check out these flexibility and mobility tips!